The UAE is known around the world as an ultimate tourist destination. We’ve got the tallest tower in the world, one of the most beautiful mosques in the capital and of course some of the best beaches in the Middle East. But there is so much more than that in the UAE! We’ve put together a great list which includes our top 20 picks of where you need to go and what you need to try both predictable as well as unexpected locations that you need to add to your list when visiting the United Arab Emirates. Dubai Frame is Dubai's latest landmark that overlooks the entire city. The unique architecture of the building allows you to enjoy 360 degrees views of both old and new Dubai. Offering a menu of chef driven soft serve treats, shakes, hot beverages and cold brew from Dubai; Sweet Salvation is located in the popular City Walk district. A Dubai exclusive menu item comes in the form of the ‘Lotus Cookie’ cone with vanilla soft serve, date caramel sauce, lotus cookie crumb and chocolate sauce. This spectacular place is one of a kind in the Middle East. The M.A.D.Gallery is a captivating universe of kinetic art (moving art) that houses many super talented and creative out of the box thinking artists. The first M.A.D.Gallery opened in 2011 in Geneva and after great success, MB&F decided to launch the gallery in Dubai last January. Inside, you will not only find the complete range of MB&F Horological Machines and Legacy Machines, but you’ll also discovering Mechanical Art Devices from creative artists all around the world. When you walk in, you hear faint sound of whizzing and see pieces moving and actually floating. The M.A.D.Gallery is definitely our favourite place to bring out of town visitors. Known as one of the best Pakistani restaurants in Dubai. Their Biryani is outstanding and full of flavour. Additionally people love the korma, the saffron kheer and the kebabs. Everything is worth a try at Pak Liyari. Zero Gravity, which opened its doors in 2013, is a beach club, bar, restaurant, pool and large-scale event concept located next to Skydive Dubai Drop Zone in Al Sufouh. It also has a 2,000 square metres expansion, with a 39 metres glass-fronted infinity swimming pool. Very popular on the gram. Experience a laid-back lounging session on the beach and pool, lunch or dinner in the ultra-modern restaurant and a full-on party vibe by night. Water sports include fly boarding, parasailing, banana boats and tubing, all at an additional charge. The burger joint, which pays homage to the great American traditions, has revolutionized the burger and shake scene and carries the ultimate badge of street cool (when you go there you’ll understand). Black Tap’s flavours are simple, pure and uncomplicated, with each burger made from scratch, using only the freshest ingredients. There’s even a Pizza Burger! Their shakes are works of art and are stacked sky-high with toppings from sticky chocolate brownie to fluffy cotton candy. This is a must see when coming to the UAE. The majestic Sheikh Zayed Grand Mosque is located in Abu Dhabi, the capital of the United Arab Emirates. This beautiful structure is the world's second largest mosque and arguably one of the most important examples of contemporary Islamic architecture in the UAE. Audience members can Immerse themselves in an amazing convergence of light and sound where the tale of ‘The Return of the Pharaohs’ unfolds. This amazing attraction is a symphony of light and sound is projected across the Pyramids building in the Central Courtyard at Wafi Mall. The special effect of this show tells the story with anecdotes, sound and music. The brainchild of Deem Al Bassam and Amal Al Marri, SALT was launched in May 2014. Ever since, the pop-up restaurant has found a permanent home on Dubai’s Kite Surf Beach, Jumeirah and has attracted thousands of visitors, including royals, who line up at the vintage Airstream trailer to grab a bite of its fast-selling sliders and shakes. Everyone has heard of Salt and most UAE residents have stood in line for ages to try it. Salt’s street food is all about going back to basics. There's a second location at Dubai Marina Mall. Taking place each Friday and Saturday until the end of March, a curated programme of activities will begin at 2pm and continue until 12am in the Western Plaza of Al Ain Oasis. Weekends at the Oasis will feature children’s workshops - with a range of arts and crafts projects for children of all ages to enjoy - as well as traditional cooking demonstrations. Buy traditional, hand-made and modern Emirati products and produce. Visitors will have the chance to go horse riding through the ancient oasis, enjoy an array of food truck dining options, and watch movies and television shows. One of the best Brunches in the city. Enjoy an extravagant selection of dishes from the far corners of the world. 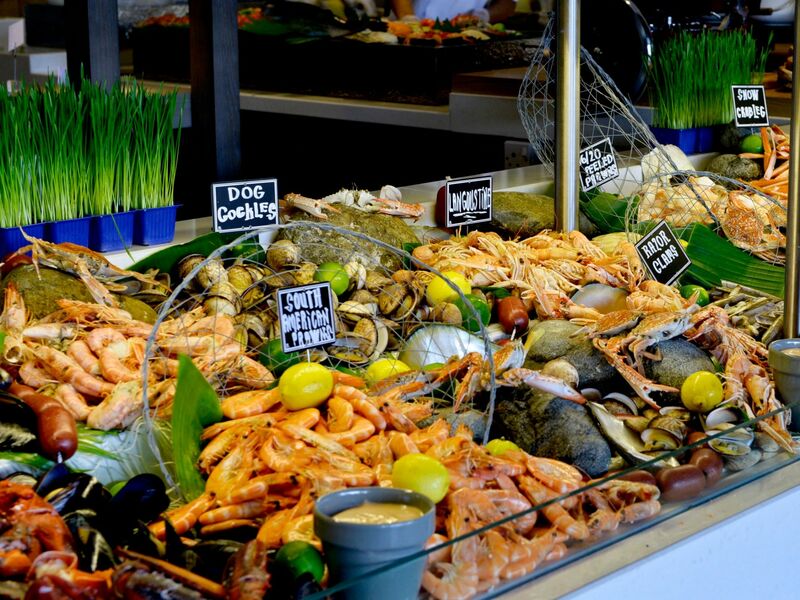 Brasserie 2.0 has on offer an array of fresh seafood delicacies, as well as their very own pizza oven – all this while the chefs fire up the outdoor grill for a flame grilled selection from the land and ocean. With views of the Arabian Sea, a stunning garden terrace area, over 10 live cooking stations packed to the rafters with dishes that will blow your mind, a live band, a refreshing juice and smoothie bar. Discover the first indoor ski resort in the Middle East. The mountain-themed wintery setting gives you the chance to ski, snowboard, toboggan and of course, meet some penguins. A perfect activity for people who want to try winter sports in the UAE. Just ask anyone where the best Tuesday ladies night is and they will tell you to float on over to China Grill for Madame Butterfly night. With unlimited white, red and pink grape (we really mean unlimited) and 50 per cent off the entire dining menu if you are a table of ladies. It is quite the hot spot to hit up on Tuesday nights. If you’re into art and want to delve deeper into the subject, then Al Serkal Avenue is your spot to go. One of their spaces, Project Space Art Jameel, features a year-round programme of art exhibitions, studios, workshops and events. While some of their shows feature works from the Jameel Art Collection, others are developed in collaboration with partner institutions; research studios and educational initiatives aiming to bring together creative communities of all ages and nurture experimentation, dialogue and a discursive approach to art and art-making. If you've got the time, a trip to the emirate of Fujairah is totally worth it. Because Fujairah's beaches are situated by the Indian Ocean, it is a perfect spot to snorkel and look at some marine life. Relax while enjoying the scenic views of beaches and mountains within the same field of vision. These are tiny pancakes the size of small hockey pucks. They are fluffy, warm pieces of heaven and come in servings of ten. You have the option of drizzling them with a vast array of sauces including, Nutella, lotus, honey and sugar, peanut butter, cinnamon, maple syrup and cheese. We recommend the lotus sauce, it’s a delicious and less sweet alternative to Nutella. Global Village is one of the city’s leading family entertainment and cultural attractions. Global Village also offers a variety of dining options from different cuisines, along with thrill rides and children rides at the Fantasy Island. It is a great place to take the family as well as any visitors to Dubai. Global Village is open from November 1, 2017 until April 7, 2018. Celebrate the best of the '80s and '90s at Waka. They have unveiled a night dedicated to the most popping tunes of the ‘80s and ‘90s. Relive the two most exciting decades, as this lively Latin American dining destination comes to life every Tuesday with the greatest hits of the generation. Enjoy a sharing set menu including signature dishes a unique range of gourmet tacos, fresh ceviche and a selection of tapas, and three free house beverages. Stunningly beautiful mountainscapes with naturally sculpted rocks will take your breath away on your way up to Jabal Al Jais, the UAE’s tallest mountain. With temperatures recorded as low as -3 degrees Celsius (in January 2009 when the entire mountain cluster was covered in snow), it is also amongst the coolest places in the country, often making overnight stays here a bone-chilling affair. Dubai Opera is located in the heart of Downtown Dubai and was built to look like a traditional Arabian dhow. You may also have guessed this opera house isn’t strictly opera only, with performances at the 2,000-capacity venue ranging across ballet, magic, classical music, flamenco and West End and Broadway musicals. It’s no secret that going to the opera is a luxury. But at Dubai Opera no one will be alienated with sky high ticket prices. The 200 plus shows a year schedule means ticket prices will be taken on a show by show basis dictated by the length of the artists' run and how much they charge to perform at the venue. Reserve your Bali bed at the picturesque hot spot. It’s got nothing but good vibes, great music and is a must visit for all barefoot lovers of life. Located just outside of Dubai on Hatta Road (E44), is a magnificent open dessert that beautifully juxtaposes the city life. You'll notice that the further you drive away from the city, the deeper the red colour of the dessert becomes. Then you’ll hit Big Red, a pretty popular spot for bashing dunes, but a beautiful and picturesque desert away from the hustle of Dubai. Grab some food, lots of water and enjoy a fiery red day out in the desert. 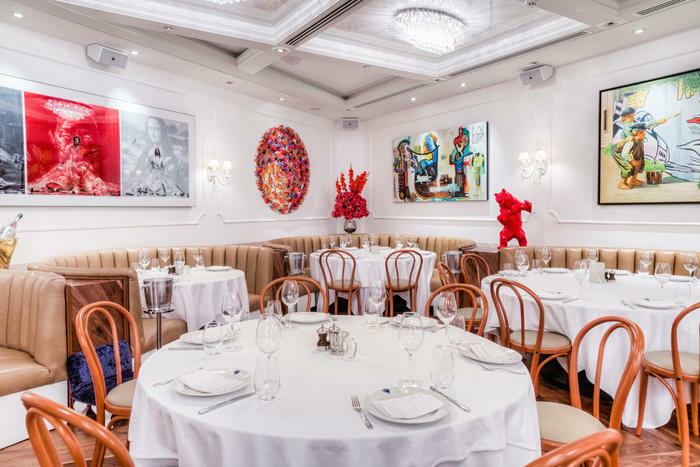 Dubai-based La Petite Maison, the home of Nicoise (French Mediterranean) cuisine, and is listed in the World’s 50 Best Restaurants for the fourth year in a row. It is a definite must visit, if you are a foodie and have given yourself a nice budget for fine dining. Expect it to be amazing. Not much needs to be said about this iconic tower. Most tourists love to check it out, when they visit Dubai. This hot spot is every chic girl’s favourite place to dine and dance the night away. The French cuisine is out of this world delicious and the atmosphere is unlike any place in Dubai. The wooden floors, pastel colours and small intimate tables emulate a 1920’s Parisian bistro. However, the food, modern art and dance music give this place a very contemporary flare. At around 11 pm the music is turned up and everyone starts to dance. This includes all the waiters and bartenders. It is a night not to be missed. Try this insta-famous mini Nutella milkshake jar. A favourite go-to spot among residents and tourists, the Dubai Mall fountain is an unforgettable experience that really just moves everyone because of its beauty and synchronized dance and song. In partnership with independent cinema platform Cinema Akil, Alserkal Avenue presents regular film screening programs featuring independent, art house, foreign and classic movies. All the film screenings are free to attend, and take place in the A4 Space cinema room or outdoors in The Yard. Perfect for the improving weather. Bombay toast is the Indian equivalent of French Toast. It's unbelievably good. Take your time along the beautifully illuminated walkways and pedestrian bridges that overlook the Dubai water canal and enjoy the sight of the mechanical waterfall. It’s a perfect place to take photos and just enjoy a cool evening out. The Wi-Fi there is really good too. The emirate of Umm al-Quwain is one of the best indicators of how the UAE used to look like. The wetlands were built near a prominent, bright blue lagoon, surrounded by little islands. These islands are a perfect location for bird watchers and all around nature enthusiasts. The wetlands are great to explore by boat or by kayak, especially the mangroves and the water channels between the islands. Located in the Al Fahidi district, Dubai is home to the UAE’s first every museum dedicated to coffee. The museum opened its doors in September 2014 to mark International Coffee Day, which takes place on September 29. The museum is a showcase that connects the past and the present of the coffee world. The ground floor of the museum is made up of 6 different rooms including the different roasting and brewing styles from various countries, which are live demonstrated. The first floor of the museum offers a large selection of books about the history of coffee as well as documentaries that visitors can watch in the media room. Coffee lovers can also sit and enjoy some tasty coffee in their homey and cosy coffee lounge as well as purchase related items from the museum gift shop. So many people, who visit the UAE would pay at least Dh200 to visit Burj Khalifa’s viewing deck, when instead they should seriously consider At.mosphere. No lines and no noisy tourists. Instead you get a chic venue, with great music and unbelievably tasty offerings for just around the same price. The menu features small platters of European haute cuisine and delicious street food. At.mosphere is one place that’s definitely worth a visit. Most people have this misconception of it being too expensive, but this lounge menu is the best opportunity to dine, quite literally, at the top of the world without breaking the bank (too much). Nikki Beach is one of the best beach clubs in town. The music, the food and the gorgeous pool is packed on the weekends, so try and visit Nikki on a weekday for a more relaxed vibe. Your entry fee will include a bed, towel and soft drink. Simply Italian's menu showcases dishes from the different regions of Italy. Located at the beautiful beachfront destination, Club Vista Mare on the Palm Jumeirah, the venue is romantic and peaceful. We recommend the citrusy salmon tartare and the amazing homemade Raviolo stuffed with Burrata, zucchini and marjoram. It's creamy and delicious without being heavy at all. If you're on your way to Abu Dhabi, make sure to stop by Last Exit, a cool unique food truck destination, inspired by roadside diners in the states, offering commuters and visitors a wide selection of fresh and tasty street food. There's another Last Exit just by Al Qoudra Lakes and one more in Al Khawaneej. Just by driving towards Fujairah, you begin to feel a rise in altitude and you'll see a lot more rocks and cliffs lining the roads. Because the emirate is mostly made up of mountains, Fujairah provides great opportunities to have a mountain safari. The terrain ranges from steep and high mountains to plummeting wadis, which means it’s the perfect place to get your four wheel drive going. Fujairah in general is often visited for its beautiful Indian Ocean and active marine life, but the mountains and wadis are natural hidden gems packed with excitement and adventure. Shimmers sits on one of the best locations in Dubai, right on Madinat Jumeirah’s private beach with great views of Burj Al Arab Jumeirah. Offering resort guests and local residents authentic Greek cuisine and a casual chic atmosphere, the white washed woods, textiles in turquoise shades and relaxed seating on the sand offer the most ideal escape, just steps from the sea. Enjoy a leisurely walk along the Abu Dhabi Corniche. The coastline's pathway stretches for about 7 kilometres. There's tonnes of gardens, trees and little vendors selling street snacks and drinks. And of course, you also get gorgeous views of the Arabian Gulf. A nice spot to check out while in Dubai is the Dubai Design District. A fashion hub in the Middle East, this area plays host to some of Dubai's most delicious cafes, including Craft Cafe, which serves up fantastic food and amazing coffee. This is a favourite among those who work in d3 who can wholeheartedly vouch for its roasted chicken. This pool is one of the coolest infinity pools in Dubai and has great views of Burj Khalifa as well as all of Downtown Dubai. It's the first Louvre museum to open outside Paris. And all that history and art is right here in Abu Dhabi. The Louvre Abu Dhabi opened on November 11, 2017 and is a universal museum that is home to some of the most beautiful art in the world. The eye catching building was designed by Pritzker Prize-winning architect Jean Nouvel, who designed it in the shape of a shallow dome; a combination of modern architecture and the regions traditions. The museum currently has more than 600 artworks and artefacts on display in its 23 galleries, and 12 "chapters". Dubbed as the first universal museum in the Arab world, Louvre Abu Dhabi offers a glimpse into the history of the world and its major religions. And though the theme is universal, it also presents Arab and regional art in a historical context. Organisers explained the arrangements of exhibits are deliberately chronological, meant to create a dialogue between pieces from different cultures. Families, schools, and art enthusiasts can plan a day out visiting the iconic museum and its many different exhibits and workshops. Visitors are invited to discover how different cultures can share influences as well as mutual historical connections. The collections will constantly be enriched through loans and local art. Drift, a bespoke beachfront destination where luxury beach chic meets casual simplicity has officially opened its doors last weekend. A place where the ambience is laid-back, yet vibrant. As the sun goes down over the Arabian Gulf, the tempo at Drift rises. The beach club has a stunning pool, an extensive private beach and lush landscaped surroundings. Offering panoramic views of Palm Island Bay and Dubai’s iconic skyline, Drift was created to welcome guests seeking a distinctive lifestyle. The beach club is also home to a restaurant and bar showcasing an innovative take on classic Provençal cuisine. An emphasis on the finest organic ingredients, freshness and simplicity delivers a culinary indulgence, complemented by an innovative beverage menu. Fossil Rock is an unforgettable and surreal experience. Many of the fossils there are said to be over 80 million years old. To get there you need to drive down the Dubai- Hatta road through to Al Awir. Once you arrive there, take a moment to sit among fossils that are over millions of years old, enjoy clear blue skies, rocky hills and pristine dessert sand in one of the UAE's natural wonders. The rooftop bar located at the Dubai Creek Golf Yacht Club overlooks the water, with panoramic views across Dubai's cityscape. At this brunch, expect innovative culinary creations, sleek lounge décor and live music from local talent and international DJs. Don't miss the after-brunch party from 4pm onwards, for a few sundowners. This museum was established in 2004 and is located south of the city of Abu Dhabi. The Emirates National Auto Museum (ENAM) is home to 200 cars belonging to HH Shaikh Hamad Bin Hamdan Al Nahyan as well as a large fleet very cool off-road vehicles and classic American cars. The famous Mercedes rainbow collection and the world's largest truck are some of the museums proudest pieces. ENAM has even been featured in the BBC show Top Gear. This Dubai hidden gem was a recent Instagram discovery. A rooftop bar that's designed with very aviary features. The ceiling fixtures look just like the feathers of a bird, while the bar features cage-like displays. But outside is where the real beauty is: Views of the city, a nice breeze and comfortable couches. If you prefer to stay inside, then sit by their ceiling to floor windows which offer Dubai's full display of skyline lights, including views of the Burj Khalifa and DIFC. Enjoy creative beverages and a high end dinner service with a selection of Japanese specialty sharing plates, with favourites including Maldivian Tuna Poke, Vermicelli Noodles and Yellow Chilli Chicken Gyoza. The Dubai Gold Souk is a traditional market in the heart of old Dubai by the creek. This market mainly sells gold, silver and precious stones. You’ll find the odd seller of handbags here and there, but this is the best place to buy gold in the UAE. The souk is home to over 300 retailers. Some have been there for over 40 years, while others have just set up shops a few years ago. It is a must visit for tourists who want to see more than just the glitz and glamour of the UAE. The Aqua-based spectacle La Perle will take place five days a week (Tuesday to Saturday), twice a day, inside of a purpose-built venue in Al Habtoor City. La Perle's purpose-built venue near the W Hotel in Al Habtoor City, feels intimate despite its ambitious scale; 1,300 seats wrap around a circular stage, which has a deep body of water at its centre. Expect rain, motorcycles in an orb and thousands of lights. Affectionately known as the Grand Canyon of the UAE, Wadi Bih is a deep ravine with a distance of 1 kilometre. The top of the wadi gives you some of the best views of the UAE. The whole thing spans from the Ras Al Khaimah clock tower all the way near the UAE boarder check point. Visitors of Wadi al Bih can go hiking, mountain biking and camping in the area. Wadi al Bih also has some very interesting sights nearby such as the infamous deserted villages of RAK, other smaller wadi areas and some unexpected amount of natural greenery as well as gorgeous views of a great outdoors that we don’t get to experience much while being in the city. One of Dubai’s hottest restaurants, Sean Connolly at Dubai Opera, is the place to dine right now. The amazing steak and seafood restaurant is located on the top floor of the iconic Dubai Opera. This unique concept gives you four main dining areas to choose from; the Raw Bar, the Fire Bar, the central Pearl Bar and the outdoor rooftop terrace, which of course has fantastic views of Burj Khalifa. The food is uncomplicated and focused on quality and allowing the ingredients to shine. You could try a classic pizza from the wood fire oven, signature steaks from the grill or fresh oysters from the raw bar. As for music, expect an acoustic journey of funk, blues and disco that injects an unmistakable energy into every dining experience. Sharjah Islamic Museum first opened its doors in 1987 as was known to locals as the Souk Al Majarrah. Now the Islamic museum displays a range of artefacts representing the different periods of Islamic history from its beginnings in Arabia and the Umayyad era until the Ottoman and Mamluk eras. The ground floor of the museum holds the Islamic Faith Gallery that displays ancient mathematical and astronomical works that were important in locating the direction of prayer towards the Ka'ba in Makkah. The entire first floor is devoted to Islamic Art that depicts historical relics, such as a Mongolian silk tunic dating back to 14th Century. The Islamic Art gallery also displays ceramics, metalwork, glass and minor arts made in the Muslim world between seventh and 13th century. Al Jood is considered one of the best mandi restaurants in Dubai. They have delicious and well flavoured rice, chicken, lamb and sauces. The grilled chicken mandi is one of the top options to choose. If you want to have an authentic Yemeni food experience then make your way down to Mirdif to try Al Jood. Try sitting on the floor and eating with your hands for a change. This is the best weather and time to enjoy local experiences including a camel trekking experience in the Dubai Desert Conservation Reserve by Arabian Adventures. We had the luck to try this out and we have to say it was a refreshing and novel experience. With hotel pick-up and drop facility, and a breakfast spread after the trek, you don’t need to worry about anything but waking up and dressing comfortably for this one. The trek lasts for 20 to 30 minutes and you may event spot gazelles and oryxes in the reserve. Ladies can enjoy two days of the week at Barasti Beach Bar with free-flowing pink grape and 50 per cent off F&B from 10am to 6pm. So pull up a sun lounger and get your week off to a great start by their pool. Remember, there are no entry fees and no minimum spend, so enjoy these two amazing days out for free. Find out what other amazing ladies nights you can enjoy in Dubai here! Play is the perfect place for an intimate dinner followed by a lively night with friends. The dining room is an amazing multi levelled area, with marble floors and high ceilings. And when the ex-chef of Zuma is the one who designed the menu and heads up the kitchen, you can be sure that the fare will be fantastic. After dinner, move to the lounge and dance the night away to the amazing eclectic beats by their in house DJ. Best nights to dine and dance are Thursday and Friday. Legoland Dubai is the seventh Legoland Park in the world, joining locations in Denmark, England, California, Germany, Florida and Malaysia. It covers a total area of three million square feet and features over 40 interactive rides, shows, attractions and Lego building experiences. It has six themed lands, each unique in its experience, entertainment and educational offering. One of Dubai's oldest modes of transportation and the easiest way to get across the creek. It's definitely an enjoyable experience. Jumble, pegs itself as an unconventional gaming experience in the UAE. Loosely compared to the numerous escape rooms scattered across the city – Jumble kicks it up a notch as the world’s first indoor urban maze, full of twists, turns and mind-bending challenges. Located near the Ibis Hotel in Al Barsha, the venue takes up two entire floors of a massive warehouse-like space. The minimum size for teams is three people and the maximum is six people. Read more about Jumble here. Pierchic is a must-visit to anyone who lives or is visiting Dubai. The vast seafood restaurant is in a stunning location. The restaurant is built on its own private wooden pier along the shores of Al Qasr Beach. Its glowing blue-lit exteriors add to its ocean appeal along with enchanting chandeliers filled with individual clam shaped crystals. Make sure you dine al fresco, away from the busy sounds and lights of the city, in its time-tested wooden deck and walls with direct views of the Burj Al Arab. Tip: Try their destination lunch and enjoy a three course menu for Dh199 per person. Want to find yourself in the middle of a wallpaper-worthy backdrop? Look no further than good-old Hatta. The drive is worth it as you wade feet-first into the pristine green-blue waters that form the centre-piece of the gritty rocks around them. Make sure to carry an ID and other verification documents with you since the pools are technically in Oman. Explore the rich, well-preserved culture of Hatta on the way too, by visiting the Heritage Village if it’s open. A proper tourist day in this Arab country is incomplete without a hot cup of Arabic coffee and there are many outlets that boast authentic brews. Look around the area and you'll definitely find someone on a street corner, who will serve you a cuppa. One of the most loved shawarma spots in Dubai. With three locations around the city, Al Mallah is a popular choice for Shawarma lovers. The staff are friendly and the service is great. They also serve a mean falafel sandwich, if you want to try something different. An ornate fireplace serves as a focal point at this intimate lounge. It looks more like a plush living room than an outdoor terrace. A Mediterranean-themed small plates menu is available but the focus here is on the beverages with the extensive molecular mixology menu providing plenty of interesting beverage options. 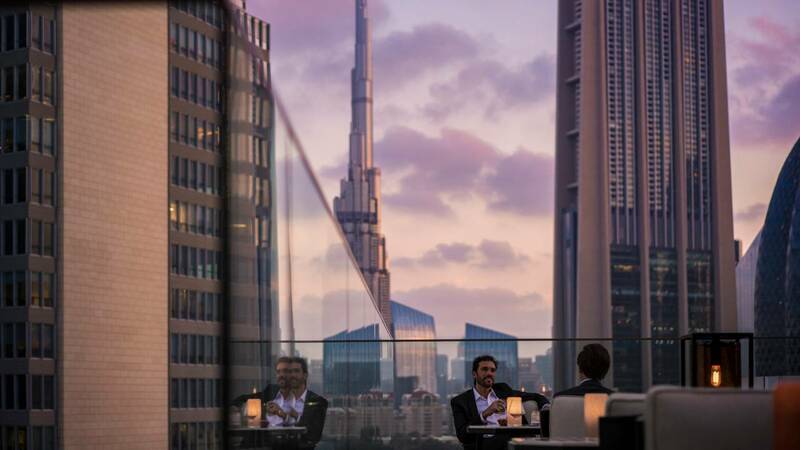 Looking directly over Downtown, Treehouse has an unobstructed view of the soaring Burj Khalifa and is the perfect place for a night out with friends. Kite Beach is one of the city’s nicest beaches and is free entry for everyone. Bring your own juices and lunch and you won’t need to spend a penny! Kite Beach even has free Wi-Fi and a running track if you’d rather exercise on land than in sea. If you’re looking for a very different afternoon tea experience, then you’ll love this one with proper, up close views of the Atlantis aquarium. You can sip on your tea by the Ambassador Lagoon, which is home to more than 65,000 marine species. The fare is seafood themed as well, with options such as smoked salmon and cream cheese, as well as king crab and avocado sandwiches and lobster eclairs. Finish the meal with some amazing desserts. Start the week with a bang! Ladies can enjoy three complementary beverages as well as 40 per cent off the entire bill for food for a group of ladies, while a mixed group will be getting 25 per cent off the total bill. There’s also going to be live music from the resident DJ, making it the hottest party in DIFC that day. Fossil Rock is an unforgettable and surreal experience. Many of the fossils there are said to be over 80 million years old. To get there you need to drive down the Dubai- Hatta road through to Al Awir. Once you arrive at Fossil Rock, take a moment to sit among fossils that are over millions of years old, enjoy clear blue skies, rocky hills and pristine dessert sand in one of the UAE's natural wonders. In a city where sun and sand reign supreme, enjoy outdoor living with Azure Beach, a new Mediterranean-inspired beach destination. Located at Rixos Premium Dubai JBR. It’s got a breath-taking backdrop of the Arabian Sea and is conveniently located in Jumeirah Beach Residences Walk, so you don’t have to drive to the end of the world to get to this one. They’ve got tranquil poolside lounge area and a chic chill out shisha terrace where guests can sit back and enjoy the sunset and surrounding views. There’s also an infinity pool lined with private island beds and a secluded sandy beach area that’s a stone’s throw from the ocean’s shore. The indoor park, which is the biggest of its kind in the world, opened with 22 rides and attractions in four themed worlds, under one roof on Mohammad Bin Zayed Road just beyond Global Village. The ceiling of the park is covered in sound-proofing black arches to muffle the noise created by the rides and the screaming guests as they fly through the air, and it’s nearly 140,000 square metres in area. The Moving Images Museum was founded in the year 2011 and houses the private collection of Mr. Akram Miknas, a Bahraini/Lebanese business man with a passion for photography. He has accumulated a collection of artefacts over the last twenty-five years that are displayed in the museum. All items in the museum are original, dating back from the 1730s to the twentieth century. The Moving Image Museum in Dubai features numerous interactive aspects, allowing for guests of all ages to fully experience the rich history of the moving image by viewing and playing with objects such as peeping into an eighteenth century Dutch peep box viewer, or turning the reel of an early twentieth century mutoscope to see the flicker effect. Comptoir 102 has a range of homemade delicious, nutritious and original wholesome dishes. We tried their amazing new signature creations including the star dish - the Avo’Club - Sliced avocado with miso, cashew cream on homemade toasted bread, topped with two organic poached eggs – what’s not to love? Alongside the Avo’Club, other incredible creations include an array of Vegan specialties, such as the Cream Cheese Crostini – delicious toasted homemade bread topped with homemade cashew vegan cream cheese and cucumber, served with a rocket salad. The Vegan Bowl is made up of quinoa, red cabbage, Brussel sprouts, carrot, red radish slices and spring onions. Also on the menu is the incredible vegan nut cheese plate featuring homemade cheeses and fig paste, almond nuts and homemade organic bread. This manmade Island in the iconic World Island project is about 30 minutes out into the Arabian Gulf, and offers a 180 degree view of the Dubai’s skyline. The club, which opened in 2012, includes a kids’ play area, swimming pool and restaurant. Dubai’s first “night swimming beach” was launched last year. For all those brave souls who want to swim past sunset, Umm Suqeim 1 Beach, almost a kilometre away from the iconic Burj Al Arab, is now available to swim till midnight. 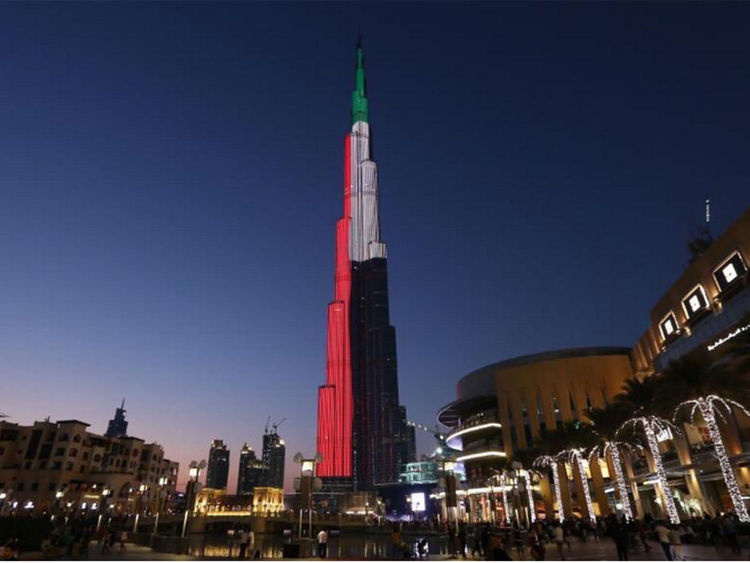 Don't fret about the dark, because Dubai has installed two “Smart Poles” that will automatically provide high-intensity lighting on the beach after sunset. During winter season, Rise will feature live music, children’s play park, food trucks, fitness classes, interactive pods, street performers, kid’s activities, an outdoor cinema and a retail market, complemented by views of the sunset over the Downtown Dubai skyline and abra rides on Dubai Creek. It is also a fun way to spend your weekends, trying out delicious food and enjoying the incredible view. These fluffy pancakes are drizzled with toffee sauce and sprinkled with fresh bananas and digestive crumble. The crumble gives the dish the perfect amount of texture and crunch. The banoffee pancakes are very rich and perfect for people who have a sweet tooth. Toro + Ko, the Barcelona inspired tapas restaurant and bar is a licensed dining destination at City Walk. The brainchild of award-winning chefs Ken Oringer and Jamie Bissonnette, Toro + Ko will offer a selection of Spanish tapas, charcuterie boards, paella’s and delighting cocktails, combined with a buzzing yet laid back atmosphere. In Toro’s eclectic and lively bar you can enjoy a daily happy hour from 4pm to 8pm. With a selection of house beverages available including hops, grape, and house beverages at amazing prices, relax, unwind and start the evening right with Toro + Ko. Take the metro into Deira for some authentic South Indian food. While South Indian, or specifically Tamil breakfasts are pocket-friendly, they are also mostly vegan and good for digestive health. Step into Sangeetha or Aryaas for a strong cup of tea and a plate of 15 signature mini idlis (healthy South-Indian rice cakes) with sambhar (a vegetable curry). This will set you back by Dh13. Dubai Garden Glow is made with over one million energy saving LED lights sprawled across 60 acres at Zabeel Park the twin attraction this season offers a dinosaur Park and a glow park inspired by nature and history. This might just be Dubai’s most immersive real-life escape game experience, which opened doors to seasoned enthusiasts last year. Groups of two to six are immersed inside a heavily-themed room and must exercise a combination of logical thinking, problem-solving, communicative and general teamwork skills in a race against the clock. Time runs out in 60 minutes and they must find their way out. This casual cafeteria is a great place to stop by for a late night shawarma. Al Ijaza is crowded all the time. If you don’t fancy sitting inside, you can just honk your horn and someone will come take your order. Dinner in the Sky, is a very unique dining concept, where you and 21 other people will be lifted 50 meters in the air to experience breath-taking views of Dubai. Those taking part in ‘Dinner in the Sky’ can mingle with fellow diners during the experience, since everyone will be seated together on one table. Once you arrive at the Marine Club, you’ll be taken with a shuttle bus to the take-off site, where you’ll receive a safety briefing and get harnessed securely into the seats. The Beach offers complimentary sunrise yoga sessions on Friday and Saturday every weekend, while weekday sessions happen on Monday and Wednesday. All you need to get is a water bottle, a mat and a towel. If you don't have a mat, borrow one for free from Adventure HQ nearby (carry your Emirates ID). We love Jean Georges for their fantastic food and the luxe vibrant atmosphere. Their Pin Up Tuesday's ladies night offers ladies 4 free beverages and 50 per cent off food. Dubai Safari is one of Dubai's premier Eco-friendly projects and a landmark entertainment destination in the region. The first phase of the Dh1 billion project sprawling over 119 hectares in Al Warqa-5 is now complete. It includes Asian, African, and Arabian villages and an open Safari Village that offers a guided safari drive. A Wadi Area and Kids Farm in addition to two theatres are also part of the project. Dubai Safari is home to the UAE’s only drive-through hippo and tiger exhibit, it has the world’s first drive-through crocodile exhibit, the largest walkthrough aviary in the UAE and the first zoo or safari park in the UAE to offer a zoo-keeping course. This restaurant celebrates the men instead of just the ladies. Every Tuesday, gents will have an option to enjoy an evening of beverages, bites and banter at Grapeskin, Dubai’s finest grape bar and kitchen in the heart of the city. Between 8pm to 11pm the guys can have two glasses of grape or hops as well as a tasty charcuterie platter compliments of the chef. Beverages will thereafter be charged at Dh25. Take to the water in one of Boardwalk’s BBQ Donuts – one of a kind in the city – an ideal option for a unique date night and a must-do when visitors are in town. Guests can go for a sail on any day of their choosing from 12 noon to 9pm, whilst tucking into the delicious options on the a la carte menu. Check out the latest Meraas project, a beachfront development that opened its first phase to the public last year. Stretching out into the ocean in the Jumeirah 1 neighbourhood. Why not head down for a swim and a long lunch at one of their many restaurants in the area? Siddharta Lounge's Gone for Sunset daily offer includes a menu of sips starting at Dh30 and bites starting from Dh40 while you soak up the musical beats. The restaurant, lounge and bar has breath taking 360-degree views of Dubai Marina, the Palm Jumeirah and onwards to the Arabian Gulf. Their recently launched menu features coastal Mediterranean cuisine for fresh and delicious bites, as well as Asian favourites, perfect for eating alone or sharing with friends. A programme of cultural and traditional events are held regularly at the historic Al Jahili Fort in the Al Ain Region to allow visitors and residents to immerse themselves in the rich cultural heritage of the UAE. Arranged by the Department of Culture and Tourism – Abu Dhabi, the series of events, workshops and performances at one of the country’s oldest monuments are part of the annual programme of cultural and artistic activities to be held across Al Ain. Each week at Al Jahili Fort, visitors will have the chance to participate in traditional Handicrafts Workshops, as well as Police Dog Shows within the fort’s iconic courtyard each Wednesday. Military Band Performances will take place every Thursday. Start your Saturday mornings the right way, and recharge for the week ahead! Working in collaboration with Fit Squad DXB, Vida Wellness Mornings takes a holistic approach to wellbeing, with activities focusing on emotional, mental and physical wellness. The morning activity can be followed by Vida Downtown’s Saturdaze Brunch. For an extra Dh100 you can get a poolside cabana and pool access. Every Tuesday, Mahiki hosts a great ladies night with a selection of new, themed complimentary beverages and free-flowing grape. The first 50 women will be gifted a goodie bag filled by the clubs’ fashion and beauty friends. Located on the nearby courtyard and terraces of Talise Fitness, the Rock Climbing Wall is a great way to enjoy controlled adventure. The 6.4-metre climbing wall is actually quite physically demanding and you may need to be brave when it comes to heights. There are ten different vertical climbing lines each at a different level of difficulty. But don’t worry, it’s completely safe! Ferrari World Abu Dhabi, the world’s first Ferrari-branded theme park is a place that celebrates the spirit of the legendary marque, and is home to numerous thrill rides, family-friendly attractions, simulators, live shows, as well as popular seasonal events and festivities. Ferrari World Abu Dhabi is home to the world’s fastest rollercoaster, Formula Rossa, as well as the triple record-breaking rollercoaster, Flying Aces. It also offers guests a range of thrilling family experiences that include Benno’s Great Race, Karting Academy, Junior Training Camp, Driving Experience, Fiorano GT Challenge, and many more. Indian cuisine is all about the perfect mix of spices and the best combination of intricately prepared dishes. Why not elevate your experience at a fine-dining restaurant that will turn your favourite cuisine into an unforgettable experience with mixology, scientific pairing of dishes, fusion themes and more. Try Jodhpur for specialty Classic Indian dishes reimagined with a modern twist in cooking, presentation and dining experience. Try their 'pani puri' macarons. Monday at Sho Cho means unlimited food from 7pm till 11pm. No limits, just a full four hours of feasting. Make sure you also take advantage of the happy hour, which runs from 6pm till 9pm when house beverages will go for Dh30. Al Fayrooz Lounge hosts an Arabesque-style afternoon tea at the hotel lobby. You'll get to enjoy a delicious selection of sweet treats including strawberry kunafa millie-feuille, apricot orange blossom souffle, and much more. This venue has elegant surroundings and views of the winding waterways, the Arabian Gulf, and of course the Burj Al Arab. They even have a cold version of their tea, the 'Iced Afternoon Tea'. This version includes a chocolate fountain with fresh fruits and cake pops. The Mexican themed food truck Maiz at Kite Beach offers authentic street-style tacos made with literally the freshest ingredients and flavourful corn tortillas. The brightly coloured truck has the cutest seating area with the most instagrammable props. That taco experience is exactly what you need after spending the morning swimming in the sea. Try the crunchy Flautas, made with chicken, cilantro sour cream and a green tomatillo sauce. Other must try-items on the menu included the Pollo Asado, and Pastor Cargado to name a few. The star dessert at Maiz is the Churros Lotus Ice Cream Sandwich, which is a must try according to everyone who has ever lived. Enjoy delicious Mexican food with your toes in the sand. One location five different things to do under the same roof. Billionaire's Mansion, which actually isn’t really a mansion, is the brainchild of the F1 boss Flavio Briatore. It’s located on the first floor of the Taj Hotel in Business Bay. This Japanese restaurant, Italian grill, karaoke lounge, nightclub and shisha terrace is a favourite among the social butterflies of Dubai. You can enjoy dinner at Sumosan the luxury Japanese restaurant, then head over to the lounge, which turns into a nightclub by midnight.